At Barbara Tattersfield Design, we strive to create a design experience like no other. You’ll enjoy a suite of benefits you can’t find anywhere else. From concept to installation, we’re with you every step of the way. Experience the highest level of quality and service from start to finish. From your initial design consultation to the skilled craftsmanship to the installation of your piece, we’re with you every step of the way. Standards above all others. Our meticulous attention to detail means we go above and beyond to ensure you get a quality stone piece you’ll enjoy now and forever. We work with only the finest stones, and our designers boast years of experience. 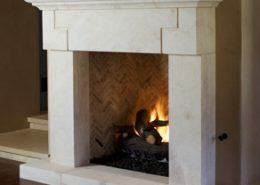 Limitless design options for fireplace stone surrounds. 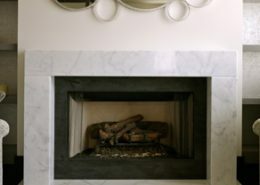 Whether you already have a concept in mind or you need help finding a fireplace stone surround that perfectly complements your home’s architectural style, we’re ready to create a stunning showcase feature for your home. A wealth of experience you can rely on. Barbara Tattersfield has been creating elegant stone furnishings for those who desire splendor and refinement for 25 years. Her work has received countless design and architectural awards over the years. Are you ready to turn your design dreams into reality? Schedule your design consultation today by calling (561) 833-3443. Or learn more about our fireplace stone surrounds by completing this short form. 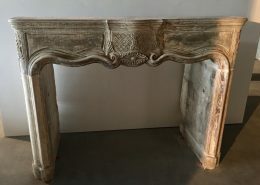 True to age-old traditions, the fireplace mantel was often the signature statement of a home reflecting its quality as well as the superior craftsmanship of its builder. 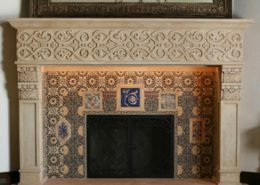 Today, as we find ourselves spending more time at home entertaining family and friends, there is a renewed emphasis toward refined design and style – and once again, the fireplace has come to symbolize exceptional quality. 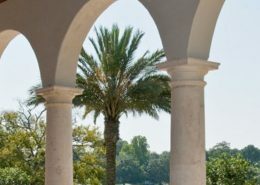 Whether you find inspiration from the extraordinary elegance of a French chateau or you prefer the rustic charm of Tuscan carved limestone, we listen to your ideas, examine your home’s architectural style, and design fireplace stone surrounds that will add beauty and value to your investment. 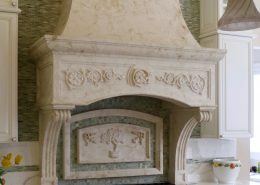 When you choose Barbara Tattersfield Design to design your fireplace stone surrounds, you’ll always receive a hand-carved piece that’s crafted from the finest stone. We work with all types of stone, from limestone to marble…a service you’ll be hard pressed to find elsewhere. Your design options are as limitless as your imagination. 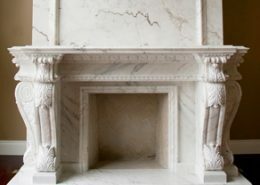 From ornate and bold fireplace stone surrounds to subtle pieces that add elegance, you’ll always get a piece that boasts uncompromising attention to detail and impeccable craftsmanship. Are you ready to turn your design dreams into reality? Schedule your design consultation today by calling (561) 833-3443. Or learn more by completing this short form. 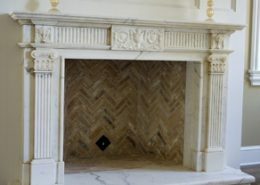 Interested in a custom stone fireplace mantel? Get in touch with us here!